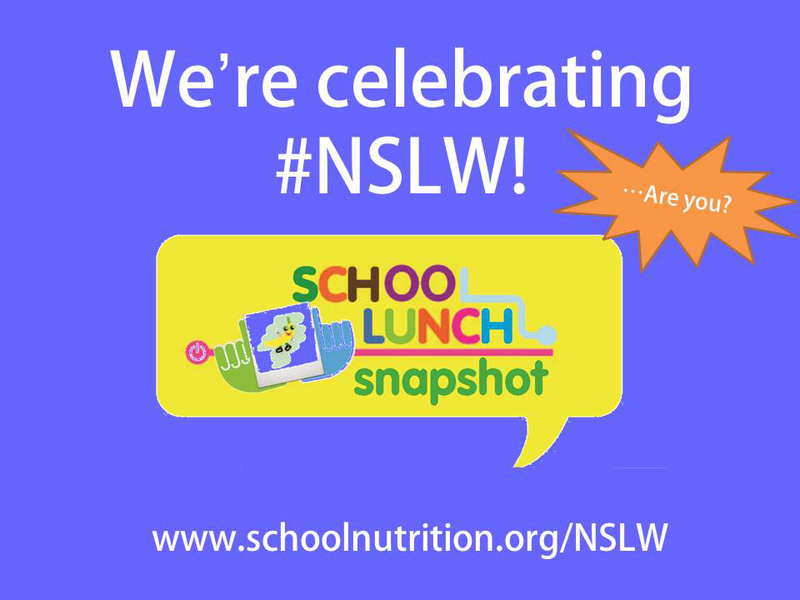 Next week is National School Lunch Week (NSLW) 2015!! This year’s theme is “School Lunch Snapshot” and is all about sharing the best and real images of today’s school lunch. Do you plan on participating in NSLW festivities this year? If you need some last minute ideas, be sure to check out the School Nutrition Association’s (SNA) toolkit with lots of inspiration for making this year’s NSLW the best one ever. Click here to download your copy of the toolkit. Also, even though October 12-16, is the “official” week of celebration, we recommend being OrganWise and participate in fun activities to promote the consumption of healthy school lunches every week. Get students involved – Make kids part of the celebration by having them participate in a contest, complete a survey about their favorite lunch foods, etc. DECORATE! – SNA has items for NSLW available and if you have an OrganWise Guys Foods of the Month Kit, be sure to show off all your buttons and posters to promote healthy foods. Keep parents in the loop – Download handouts from SNA and send home with students. Get the word out – Take to your school’s social media (facebook, twitter, etc) to promote NSLW. You can even share this blog post for awareness. Share your celebration – Take pictures, interview children and lunch staff, etc. Make this week a big celebration that you can share with your community. What are you doing to celebrate National School Lunch Week 2015? Between preparing healthy food, adhering to strict nutrition standards, navigating student food allergies, and offering service with a smile, school nutrition professionals have a lot on their plate. To celebrate their hard work and commitment, a number of schools will celebrate School Lunch Hero Day on May 1. This day, celebrated annually since 2013, was designated by The School Nutrition Association and Jarrett Krosoczka, author of the “Lunch Lady” graphic novel series. School Lunch Hero Day provides an opportunity for parents, students, school staff and communities to thank those who provide healthy meals to 30 million of America’s students each school day. We are such firm believers in the important role that school nutrition professionals play in promoting healthy school meals for our children. Why not take a few minutes to create something special for the lunchroom staff in your school? Write thank you cards – Have the students thank the lunchroom staff for the great job that they do! Each student can create their own card, or make a large one and have everyone sign it. Name their favorite foods – Older students can let the lunchroom staff know which food items are their favorite and why. This is a great time for you to emphasize the healthy food options that they enjoy. Draw food pictures – The younger kids can draw pictures of their favorite foods served either for breakfast or lunch. Perform a skit – Come up with a fun little song that several students or the entire class can perform during lunch. Everyone will have fun with this! Cook for them – How about bringing the lunchroom staff your favorite healthy treat! Try a yummy Greek yogurt parfait with fresh fruit and granola or a tasty fruit smoothie to brighten up their day! However you choose to say thanks, whether it be on School Lunch Hero Day or during School Nutrition Employee Week (May 4-8), it’s a great opportunity to show the school nutrition workers a little bit of appreciation for the hard work that they put in each day! Share with us what you plan to do to celebrate these important workers! It’s National School Lunch Week (NSLW) 2014!! 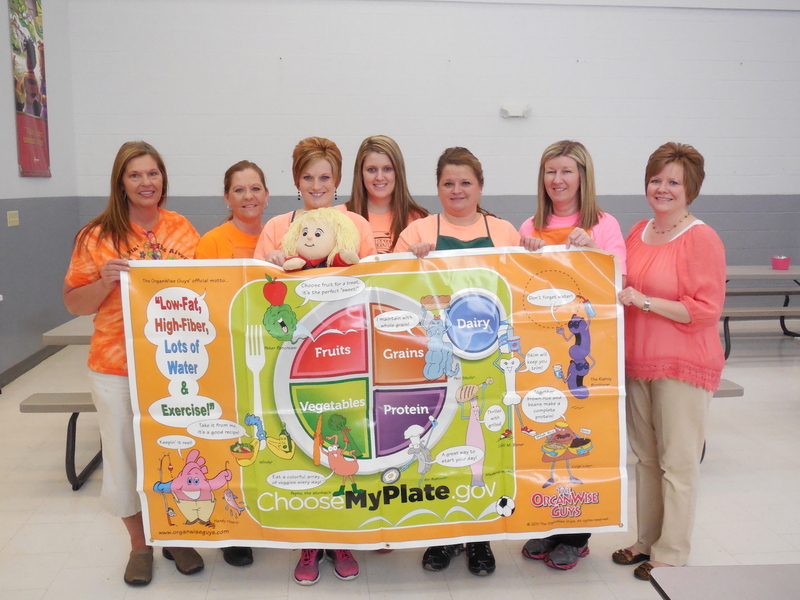 This year’s theme is all about balancing the healthy foods served in your school’s cafeteria with physical activity. University of Illinois at Chicago (UIC) Chicago Partnership for Health Promotion (CPHP) has been using The OrganWise Guys programming in a variety of settings for a long time now. Each month, they bring Foods of the Month tastings to school lunchrooms in Chicago with the purpose of educating children about good nutrition and giving them a chance to try new foods.